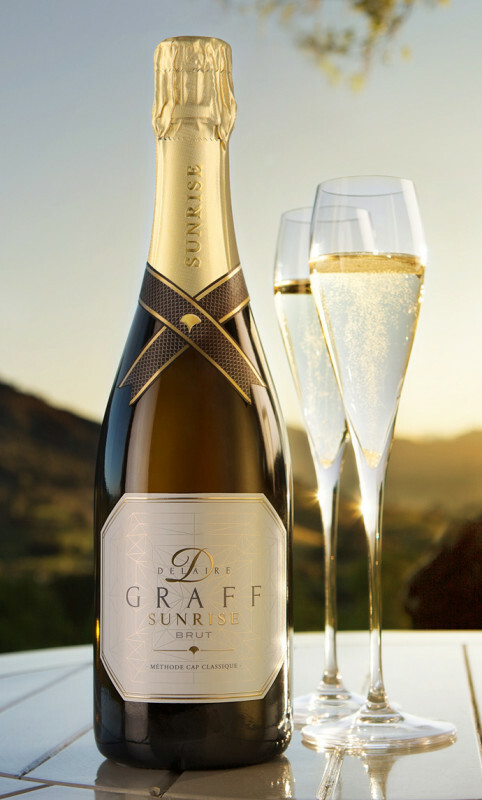 Delaire Graff Sunrise MCC, named after the magnificent 118.08 carat Delaire Sunrise, the largest square emerald cut fancy vivid yellow diamond in the world cut and polished by Graff Diamonds, the Delaire Graff Sunrise Brut is resplendent in its own right with its pale yellow colour. 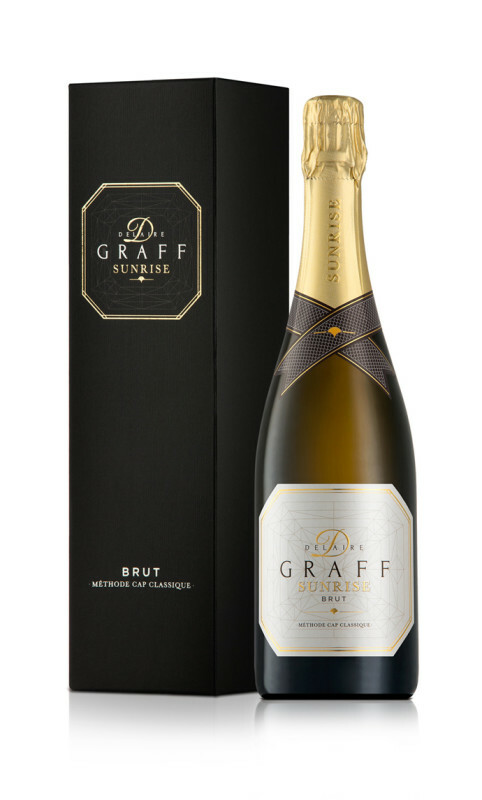 The concept of the design was inspired by the facet lines of the sunrise diamond and the cutlines of the diamond were incorporated into the label to symbolise the infinite detail to perfection eminent in the design of the packaging as well as the product. 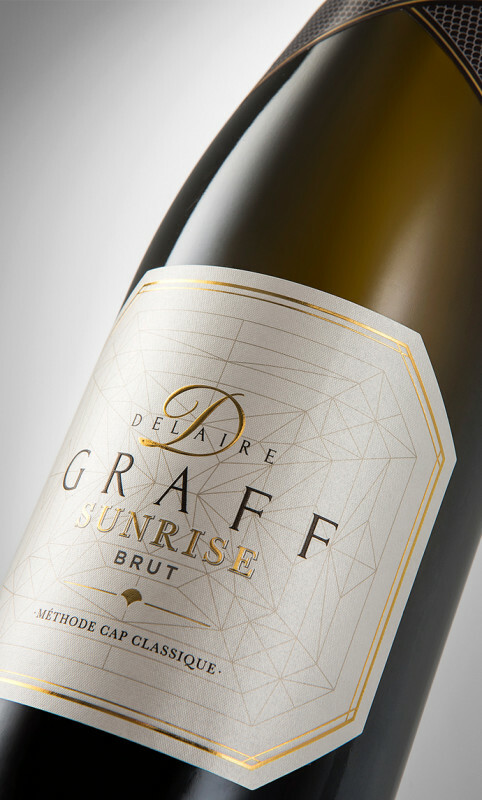 The design symbolises the commitment to detail and elegance, which embodies the Delaire Brand. The simplicity of the neck label adds to the elegance of the design buy creating a distinctive difference in appearance from traditional MCC’s. We are proud of the result and the design has had great success.